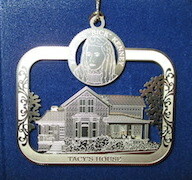 This classically inspired ornament features Maud Hart Lovelace’s best friend from childhood, Frances “Bick” Kenney and her childhood home, “Tacy’s House”. 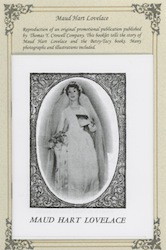 Frances Kenney is the basis for the character of Tacy in the Betsy-Tacy books. The ornament measures 2 1/2″ by 2 3/4″, is made of brass and finished in elegant 24 karat gold. 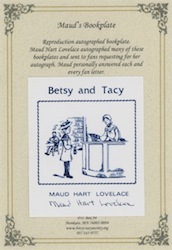 Makes a nice keepsake gift of Tacy’s House, designated a National Literary Landmark in 2010. Gift boxed with origin card. This is the second in a series of Betsy-Tacy ornaments.